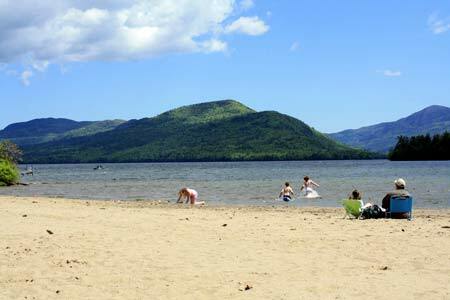 Visit the Public Beaches: Enjoy an afternoon on the shores of Lake George! The Rogers Memorial Beach and the Veteran's Memorial Park Beach are located in Bolton Landing. Both beaches have park and picnic areas perfect for family-friendly fun. The beaches are open from 7am to 10pm and there is a $5 parking fee. Note that swimming is allowed only when a lifeguard is on duty.View more information on Lake George Beaches. Shop, Sip & Stroll: There are many unique local businesses lining the main drive through Bolton Landing. Spend a relaxing afternoon shopping and strolling along the picturesque streets while enjoying samples of the Adirondack's craft beverage scene. Enjoy a fun and delicious wine tasting at the Adirondack Winery's Tasting Room or stop in for a refreshing ale and some nibbles at the Bolton Landing Brewing Company. Pick up one-of-a-kind souvenirs, gifts and wine to enjoy when your trip is ended, or bring home something special for the loved ones in your life. The many uniquely Adirondack shops and boutiques make it easy to find just the right momento. Take a Chartered Cruise: Whether you are a first time visitor or a seasoned vacationer, learn something new on an Indian Pipes Chartered Cruise. Captain John Orlando and his wife Anita have been guiding tours since 1986. Whether you are looking to have fun in the water or to take a tour of the lake, you are sure to have a good time. Large parties are welcome, so gather your friends and family and make a reservation. 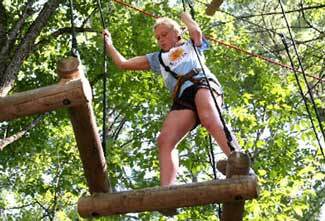 Experience an Extreme Adventure: Zip, swing and climb on challenging aerial adventure courses. Great for all ages and fitness levels, the Adirondack Extreme Adventure Course is the first of its kind in the United States. With 5 adult courses, kids course and the new "Squirrels Den" for kids, it's excitement for the whole family. There's nothing else like it, and it's only in Bolton Landing. Visit a Butterfly Farm: Discover butterflies! Take the kids to marvel and explore a hands-on butterfly farm. Up Yonda Farm's butterfly garden is enclosed in a netted structure and offers the opportunity to view all stages of butterfly life. Children will love the museum, sugarhouse, starry dome, and all the trails Up Yonda Farm has to offer. Rent a Boat: Boating on the lake can be lots of fun! You can explore, sightsee, fish, or sunbathe. Don't have a boat? Don't worry! F.R. Smith & Sons Marina is located conveniently on Sagamore Road and has a selection of power boats, pontoon boats, kayaks and canoes. Rentals are available by the day, the week, or even the month. Learn to Water Ski or Wakeboard: Ever admired waterskiers or wakeboarders as they cruise by? Bolton's Adirondack Water Ski & Wakeboard School offers a fun and comfortable lesson that will introduce you to these fun sports. Go Horseback Riding: Visit the nearby riding stables and hoof it around the Adirondacks! Never before has the trip up been so enjoyable! Take a scenic horseback ride up into the mountains and take the time to appreciate the views every step of the way. Take a Hike: The Southern Adirondack area offers many options for hikers. The Pinnacle, Cat Mountain, and Thomas Mountain, maintained by the Lake George Land Conservancy, are all great choices, depending on your stamina and hiking experience. The Pinnacle is the easiest and shortest, offering spectacular views of the lake and surrounding mountains for such a short hike. View more information on hiking in the Lake George area. Enjoy Dinner on the Lake: There are a lot of dining options in Bolton Landing. Whether you want a casual, family-friendly or romantic venue you will find what you are looking for. View the full guide of Bolton Landing restaurants.